Alex had a tough year and found himself unable to pay for a personal trainer. 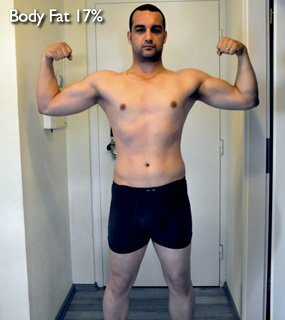 Read on to see how one of Bodybuilding.com's free 12 week programs whipped him back into shape! In March 2010 I stepped on my scale and saw something that shocked me. I actually gained 20 pounds in 8 months. In May 2010 I saw myself in some new photos my wife made. It was a disaster. An alarm went off in my head and I made a decision. Fat must go away, muscles must come back. An alarm went off in my head and I made a decision. Fat must go away, muscles must come back. 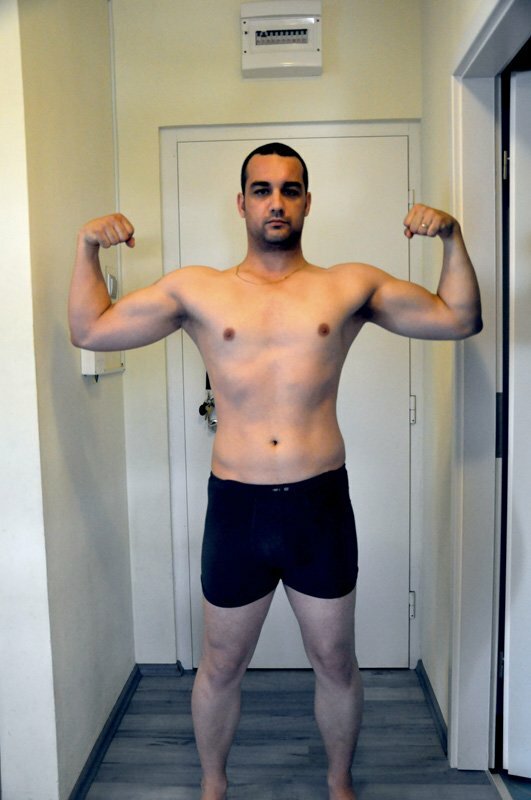 In May 2010 I returned to the gym with a plan. At first with my own program, later with a personal trainer. My program did give some results but not quite what I wanted. That's why I decided to invest in myself by hiring a personal trainer. The workout sessions were good, and the transformation was well underway but then my father had a double brain stroke. My world turned upside down and all the healthy diet and all the results were gone in a matter of a couple of months. Stress killed me. The time I had put into the gym before I now had to put into getting my dad back on his feet. Eventually, when my dad was better I ran out of money to pay for the personal trainer so I had to find a cheaper/free alternative. That's when I found out about Kris Gethin's 12 week transformation program. Are You Ready To Prove You're Tough Enough? The decision was made instantly - this guy knows what he's doing. He's a bodybuilding, diet, and healthy living encyclopedia. "Let's give it a go" I thought to myself and so I started. A whole new movie started to roll in my head. I got a FREE personal trainer, who took a bit of time for ME every day. YES, indeed. A virtual trainer who offers you something new each day for 12 weeks. I also got a free program I could print every day. I got a FREE personal trainer, who took a bit of time for ME every day. When I started the program I weighed 183lbs and had about 13% body fat. My 12 week voyage brought me a lot of benefits. I learned a lot about food, training sessions, how the human body works. I experienced in my own skin how fast changes can be and how the body punishes you if you neglect the diet or the program. I didn't stick to the program 100% though. I didn't use all the supplements Kris used and I wanted to gain a couple of pounds in the progress. So when I started I only used whey. Kris used yohimbe, green tea extract, creatine, glutamine, BCAAs and whey. Only at about 4 weeks out did I start to do exactly as Kris said including a fat burner, BCAAs and two weeks out I included green tea extract. The results were here! The hardest part of the transformation was making the transition from 1 meal a day to 8. It took me a couple of weeks to get used to the new regime. 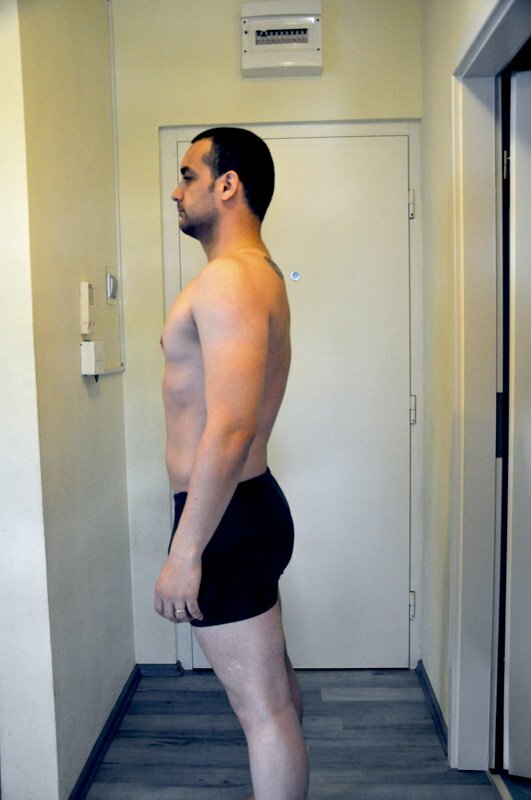 Since 1st January 2011 I followed (and still do) Kris Gethin's 12 week transformation program. It didn't only transform my body it transformed my mind. Set a goal and follow it. Don't let anyone or anything stand in your way of achieving a healthy good looking physique. Surround yourself with positive people, people who will support your struggle. Be consistent, focused and patient. Patience is the key factor as I see many friends giving up just because they don't see results a quick as they want. Be a positive role model for others. Teach them, don't hold your knowledge to yourself. 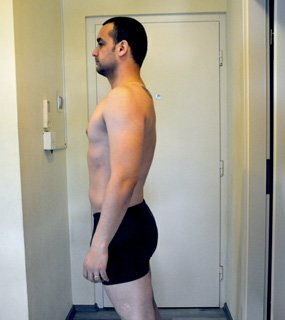 Most of all I would suggest that everyone opens a bodyblog on www.bodybuilding.com and share their goals and progress with others. It truly is an amazing experience with so many people having the same goal to be healthy, fit and look good.